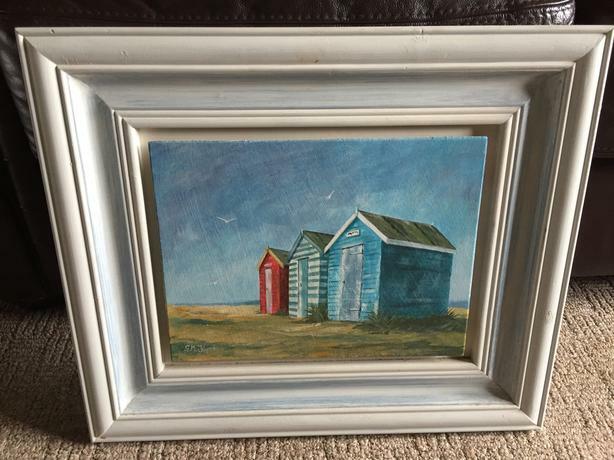 Beach Huts Southwold, Suffolk Painting in very good condition. Measures approx. 20" x 17".